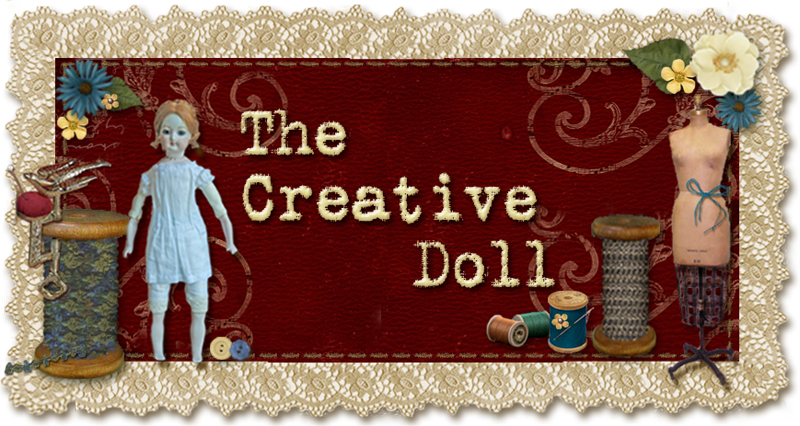 The Creative Doll: Love is in the Air....on Valetine's Day! February is a month of romance. Save your romantic moments in miniature. Do you still have your prom mementos, a favorite birthday, your wedding, maybe your mom's? Re-create your favorite memories in miniature and seal them within a watch case. This would be a fabulous present as well. 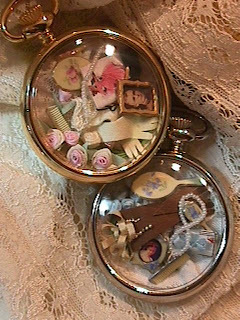 These watchcases contain a comb and brush set, flowers, gloves, photographs, dance card or bundle of old love letters, and tiny pearl necklaces. You do not have to limit yourself, the world of miniatures is complete. If you need it, it's out there. Do you want your own picture, use a contact print. Save babies birth informat ion and bracelet, add some miniature rattles, a tiny silver cup and a real lock of hair. What moment do you want saved? Custom watch cases in gold or silver starting at $50.00. Contact Kathi Mendenhall, 2008@minipatterns.com. Empty watch cases are available on minidolls.com: emptywatchcase, Kathi also had available other ideas in the form of patterns if you get stuck: watch case ideas. 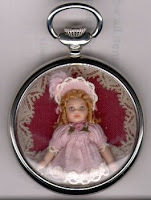 The watchcase to the left Michelle made using a tiny porcelain doll.